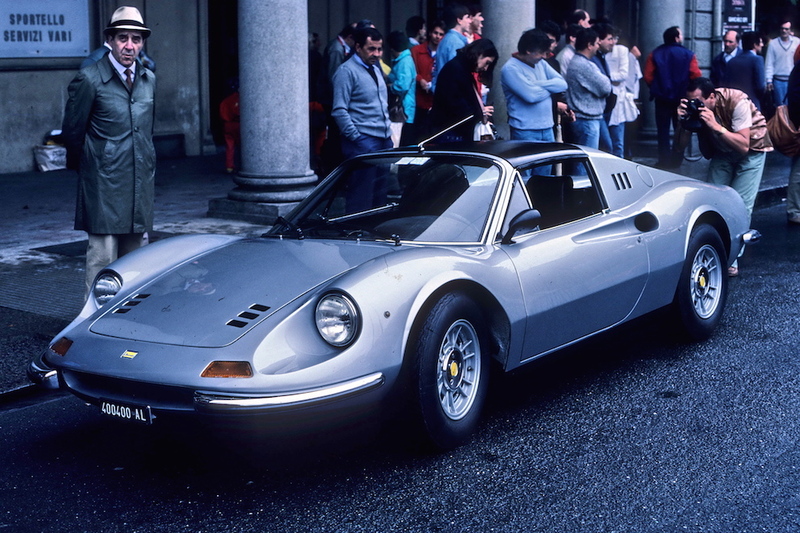 This just perfect Dino 246 GTS, is one of the 473 European cars ever built. The first owner sold the car after one year,and the second owner had this Dino from 1974 till last year. As a real passionate he used the car only for pleasure and it is clear the milage of 56.000 km is real. This GTS is in concours condition, with a new paint in still the original color and new interior by Luppi. Also a big engine service and new suspensions, … were done by Ferrari this year ( invoices for almost 60.000 euro). Of course full matching numbers and and its original colours.